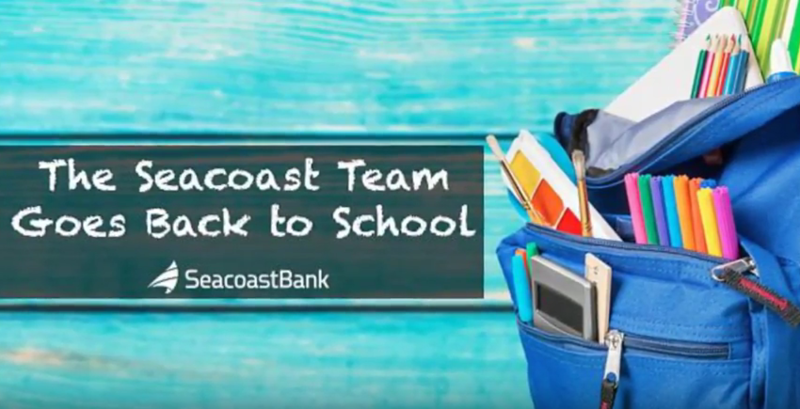 Seacoast Bank is ready to go back to school for another successful year. Join us in making a difference to local students in our community. Simply bring any school supplies you wish to donate to any Seacoast branch location by Friday, August 11th and help enhance a local child's back to school experience. Last year's event was so successful we were able to support the educational mission of more than 55 Florida schools and nonprofits. Let's make this year's drive even better! Here's a peek at the fun Seacoasters had last year investing in the future of local youth. Help support our local students and schools by donating today. To see how you can become more involved in our community, check out our Facebook page!